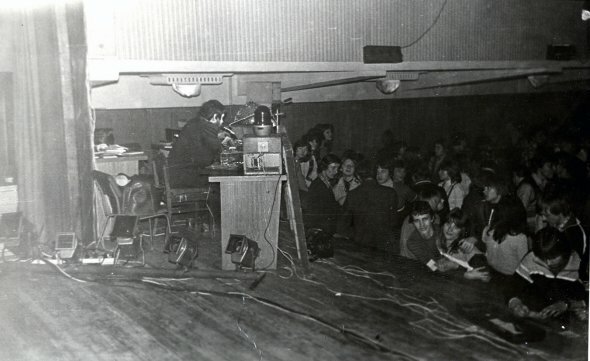 In the mid 1970s, architecture student Hardijs Lediņš organized a series of disco-lectures in the Polytechnical Institute’s student club. At the time, the discotheque was a new entertainment phenomenon in Soviet Latvia, a “sociocultural product” from the West that introduced people to popular Western music. Lediņš occasionally spiced up his discos by sharing his views on contemporary music—during the first half of each event he gave a lecture, then played recordings. 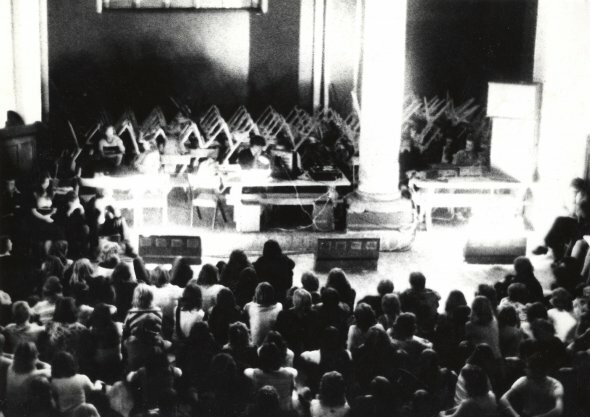 In collaboration with stage designer Leonards Laganovskis and musician Mārtiņš Rutkis, Lediņš continued the disco-lectures at the “Kosmoss” experimental discos held in the Construction Workers’ House of Culture, Oktobris. In between educational and entertaining repertoire he presented various subjects, such as architecture, or readings of his own poetry. Avant-garde soloists and bands from Riga improvised on stage. 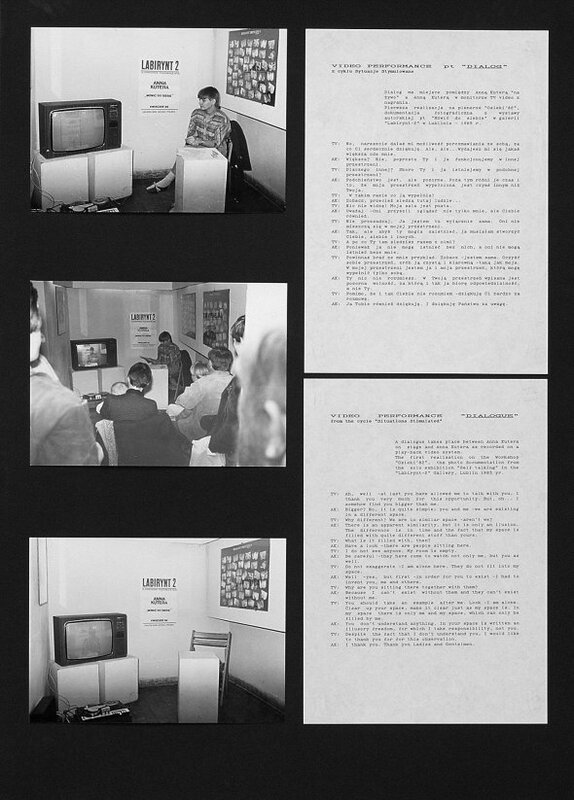 Important for the experience were the visual effects and use of multimedia, which featured slide projections with texts and photographs and special stage and room decorations. 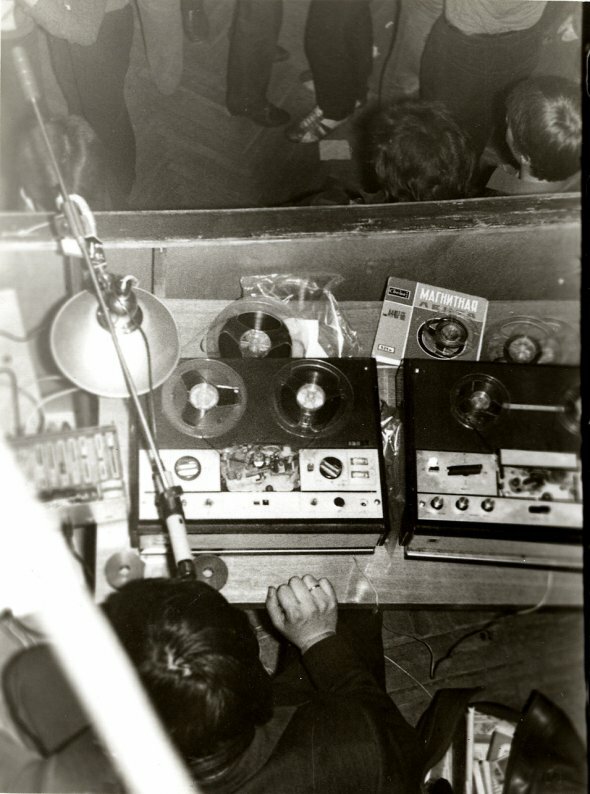 The discos signaled Lediņš’s movement towards sound and multimedia experiments and his creation of the Restoration Workshop of Unfelt Feelings, one of the most interesting phenomena in avant-garde art in 1980s Latvia. 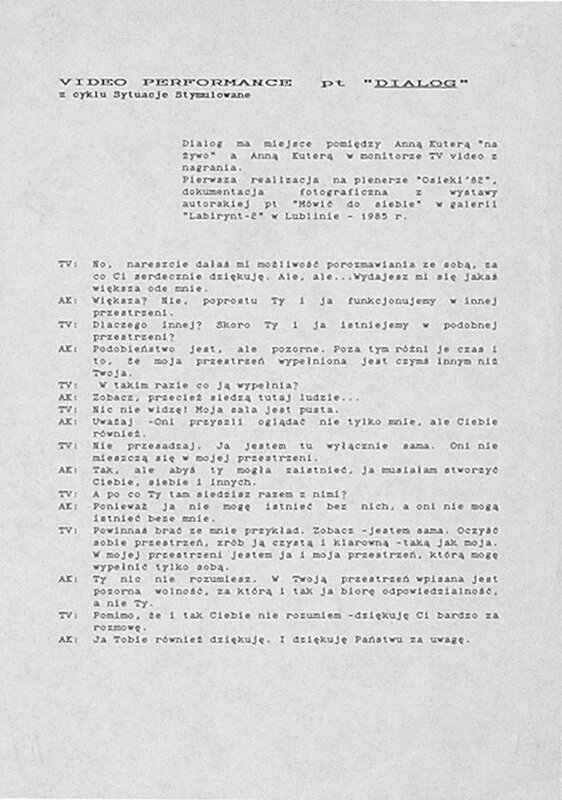 Script of the performance. Photo from the archive of Anna Kutera. Photos of the performance (courtesy of Anna Kutera) Photo: Romuald Kutera. Photo of the props (courtesy of Anna Kutera) Photo: Romuald Kutera. 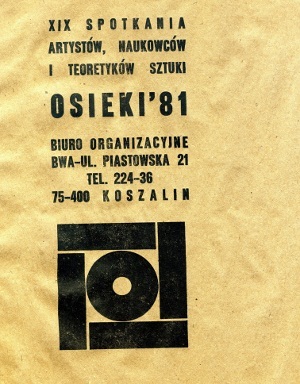 No documentation remains of the first action performed in Osieki. 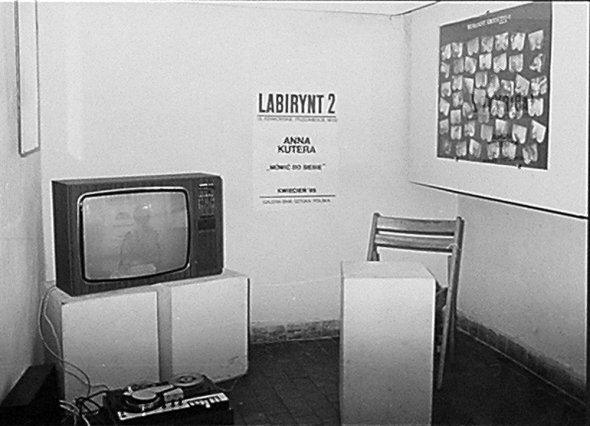 The video-performance was repeated three times: at Gallery Labyrinth 2 in Lublin, Poland (1985), Philip Waters Gallery in Banff, Canada (1985), and during the “Polish Manifestation” exhibition in Drents Museum, Assen, the Netherlands (1986). 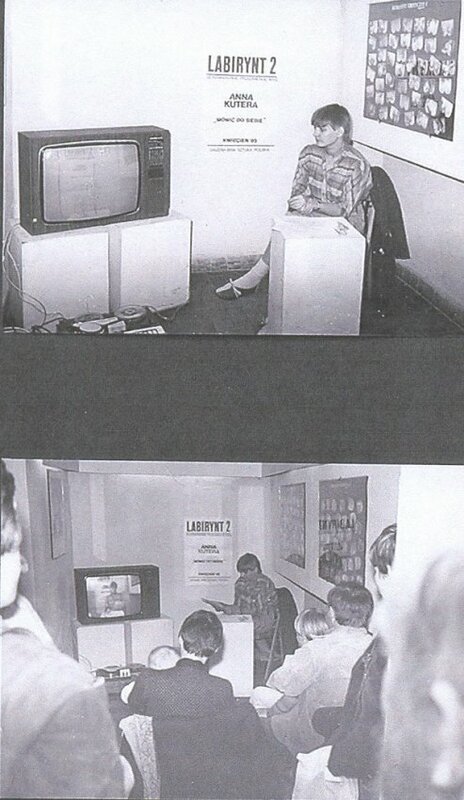 The title dialogue takes place between the artist in the gallery space and an image of herself prerecorded on video playing on a TV screen. The conversation concerns the situation in which the artist found herself: the relationship between herself and her image, and their relation to the audience and the gallery space (the actual one as well as the empty one in which the recorded performance took place). The final dialogue concerns a misunderstanding between the two Annas: the TV one whose space of action is clean and neutral and the live one whose space of action is always relational, always considered an encounter, never neutral. She suggests that her TV image consider her art in the illusionary freedom gap and even does not take responsibility for her actions because she is only an image.